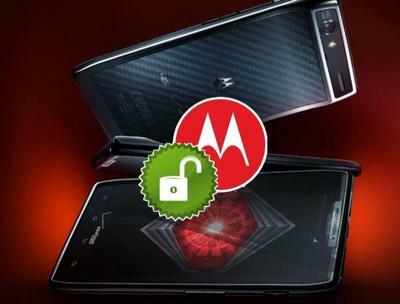 Earlier this year, an Australia-based Android user named Irwin Proud began an effort urging Motorola to unlock its Android devices. In this case, “unlock” has a particular meaning. It’s not like iOS jailbreakers trying to unlock their phones for use on another carrier. Unlocking a bootloader means gaining access to “the staging area of custom roms on Android handsets,” writes Proud, on AusDroid.net. Even before HTC got on board with unlocked bootloaders last May, Motorola indicated that they had something in the works. This solution, they said, would allow the unlock/re-lock of their bootloaders. And now, the company has circled back to Proud, informing him that the Motorola RAZR is going to be the first phone to sport its new bootloader solution. In all fairness, they’ve always said that it would be up to the carriers, so it’s hard to fault them now. (In fact, Motorola Mobility even tweeted as much recently.) I pinged Verizon Wireless to see if they had any comment about this. If I hear anything back, I’ll update this post. For now, though, it does seem that the RAZR is getting this amazing, awesome solution… and that it will be blocked for U.S. users. Sorry. What do you think? Is it a huge injustice, or just a minor setback? Do you accept this answer, or will you proceed anyway until you crack this sucker wide open?